It’s a well known fact that when we read, or listen, to arguments backed up by fact and data, we listen or read with our guard up, looking for telltale signs of flaws in the argument. But when we are absorbed in a story, we drop our intellectual guard and are immersed in the tale we are hearing. Faced with mounting data dumps, organizations are increasingly recognizing that the story goes to places that facts, analysis, and data cannot – straight to the heart and the emotion, where decisions actually get taken. As a global leader dedicated to ending poverty, CARE is one of the largest and most pedigreed NGOs in the world. Recently, CARE USA made storytelling one of their key strategic pillars as part of a strategy redefinition. CARE recognizes that Storytelling can give their staff the power to change behaviors and lives, impact attitudes and raise funds. Storytelling gives them the power to deliver hope, grow ambition and fight apathy. Storytelling puts the power of transformation in their hands. To further their objective of Building a Movement Through the Power of storytelling”, CARE partnered with Amani Institute in 2017 in multiple engagements to build storytelling skills in their staff and to train the trainers in order to incorporate it into the daily activities of their offices. Amani Institute has trained CARE USA’s East Africa staff, as well as its Regional Managers in Asia. We also conducted a storytelling workshop at their global headquarters in Atlanta as part of an internal accelerator program. 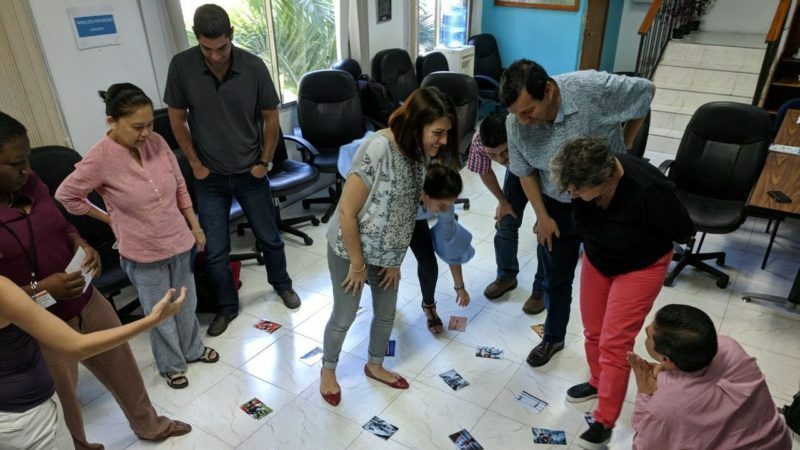 One of CARE’s key regional priorities in 2018 is to build these storytelling capacities at both regional and country offices in the Latin America and Caribbean region, and to assist in this priority, we designed a 2-day ‘train the trainer’ workshop in Haiti in November 2017 for 15 participants. Quite aside from how better storytelling helped them in their external work, the trainings have also resulted in better communication with each other, greater comfort levels with team members, and has given them greater confidence to be able to talk about roles and responsibilities. All this, of course, indirectly impacts the quality of work. Reshma Khan, Regional Organizational Development and Culture Specialist says: “Amani Institute has, in the past year, been a great partner to show us that we have it within ourselves to change our narrative, even as a 70-year-old organization. We are really proud and happy to have worked with CARE in Asia, Africa, and the Americas, and look forward to continuing to support their incredible work around the world. Like Amani Institute, CARE USA has also come to realize the power of storytelling. People, after all, are social animals and stories are the best way to relate to other people. Its no different in the private or social sectors.